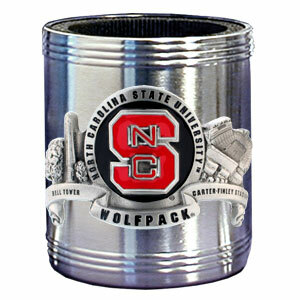 This attractive, 26 ounce N. Carolina St. Wolfpack thermos is a great way to keep your beverages hot while on the go. 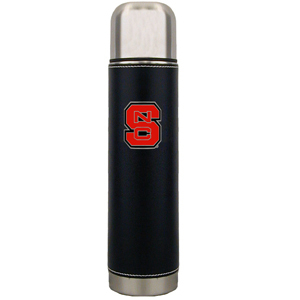 The 11 inch tall, vacuum sealed thermos features a black vinyl wrap with stitched details and a digitally printed team logo. The lid screws on and can be used as a cup. Use this attractive clip magnet to hold memos, photos or appointment cards on the fridge or take it down keep use it to clip bags shut. 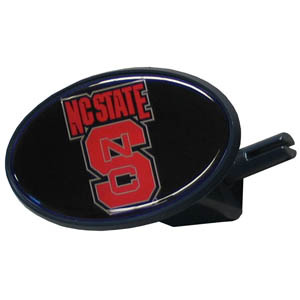 The magnet features a domed N. Carolina St. Wolfpack logo. 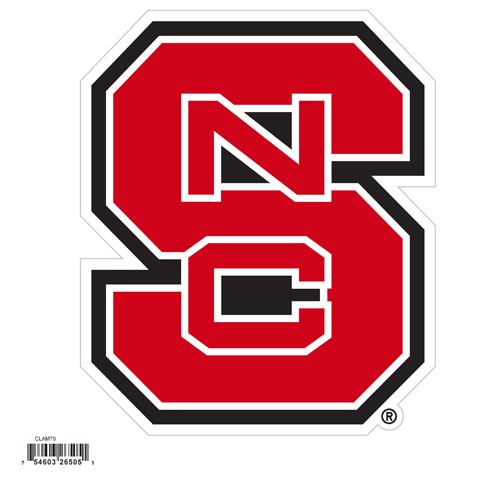 It's a home state decal with a sporty twist! 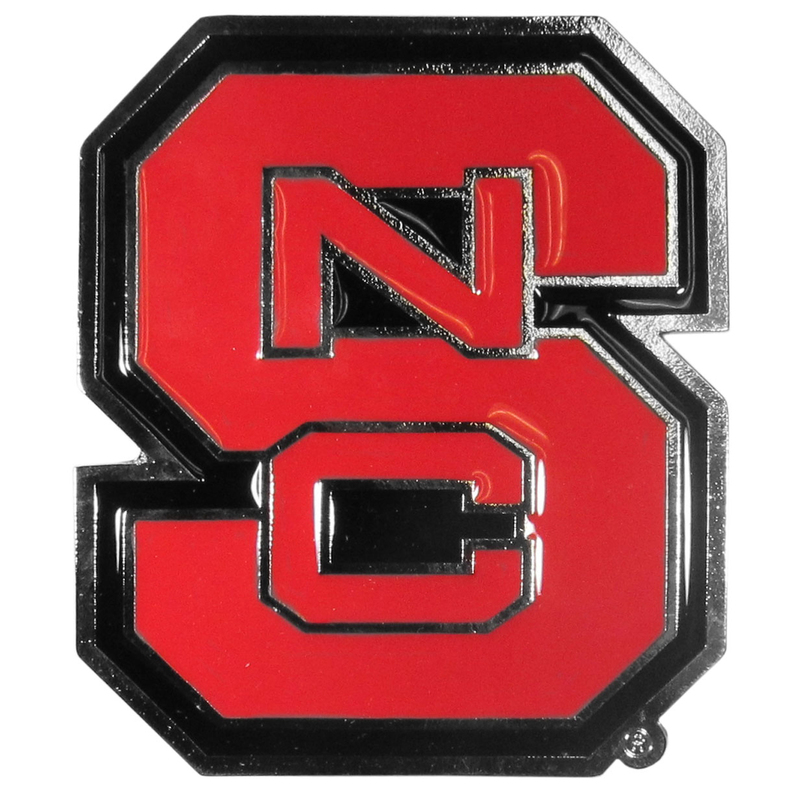 This N. Carolina St. Wolfpack decal feature the team logo over a silhouette of the state in team colors and a heart marking the home of the team. The decal is approximately 5 inches on repositionable vinyl. 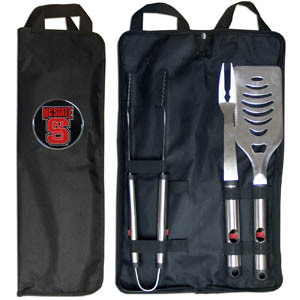 This heavy-duty steel opener is extra long, with a durable vinyl covering. 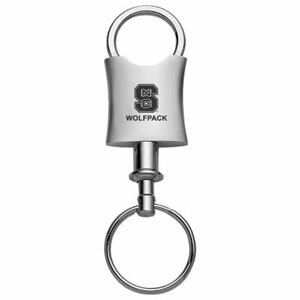 The extra length provides more leverage for speed opening and the opener features a large printed N. Carolina St. Wolfpack logo. 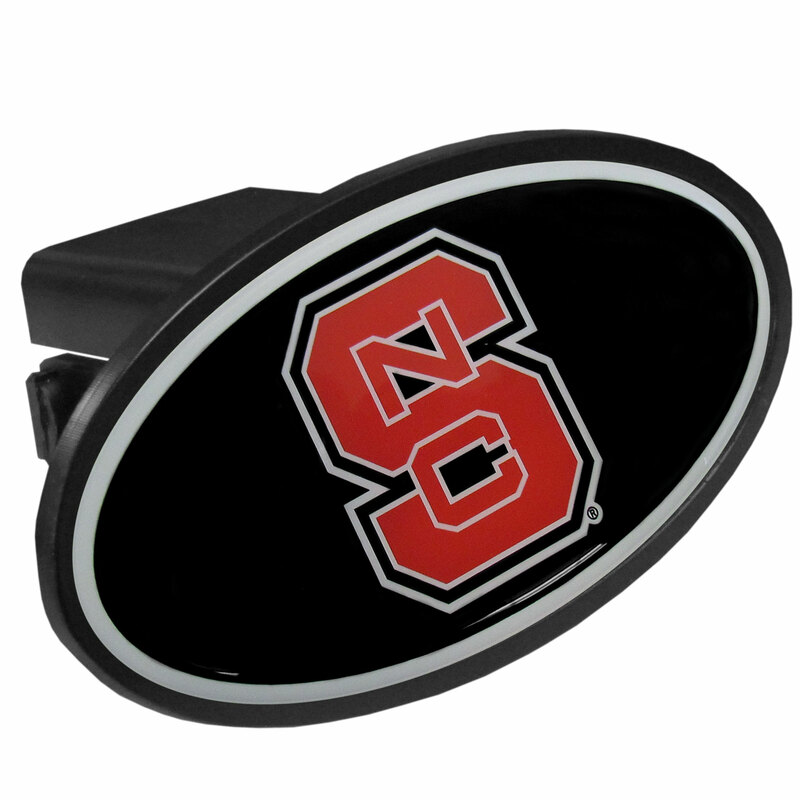 This affordable hitch cover features a large N. Carolina St. Wolfpack dome. The unique design requires no additional hardware for installation. It snaps easily into place on your Class III hitch receiver. Seriously, these sunglasses open bottles! 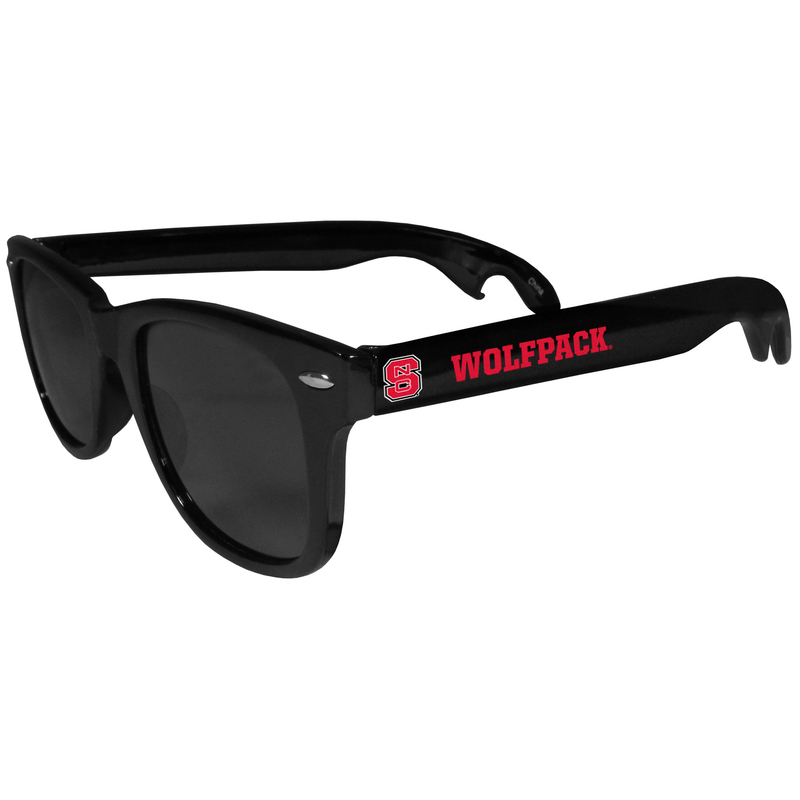 Keep the party going with these amazing N. Carolina St. Wolfpack bottle opener sunglasses. 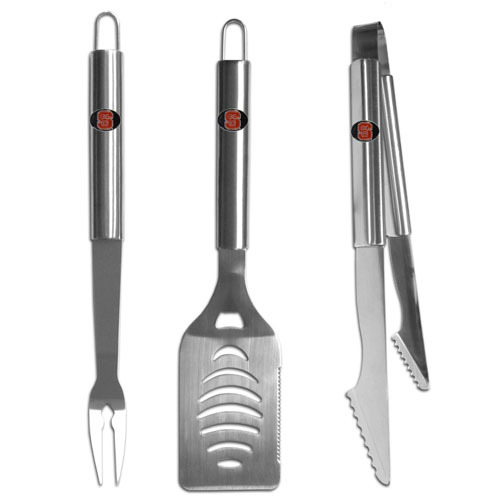 The stylish retro frames feature team designs on the arms and functional bottle openers on the end of the arms. 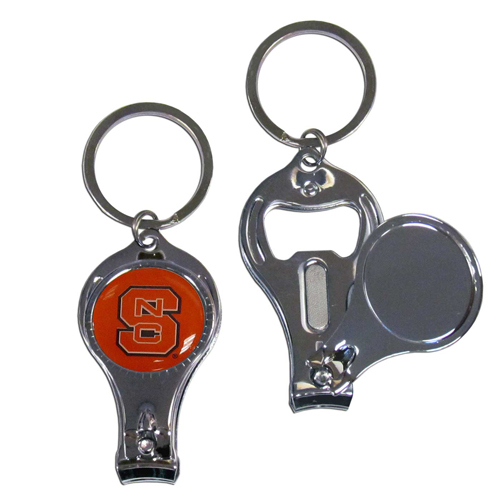 Whether you are at the beach or having a backyard BBQ on game day, these shades will keep your eyes protected with 100% UVA/UVB protection and keep you hydrated with the handy bottle opener arms. 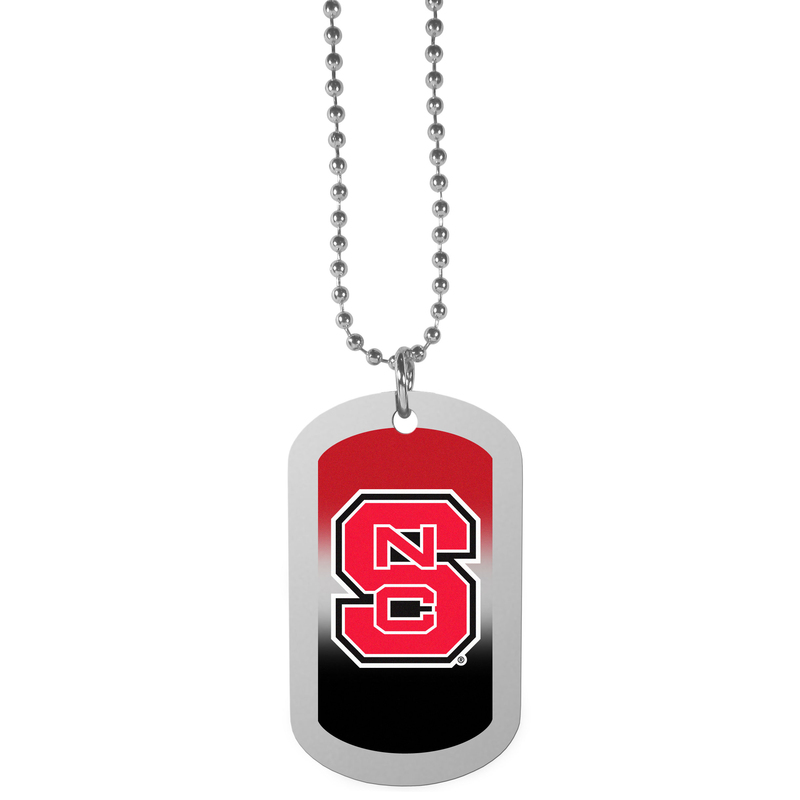 Dog tag necklaces are a fashion statement that is here to stay. The sporty version of the classic tag features a black printed over a high polish tag to create a bold and sporty look. The tag comes on a 26 inch ball chain with a ball and joint clasp. 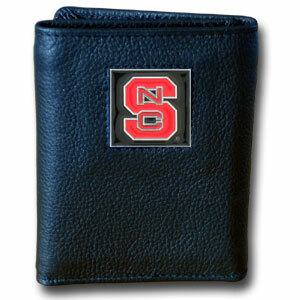 Any N. Carolina St. Wolfpack would be proud to wear this attractive fashion accessory. 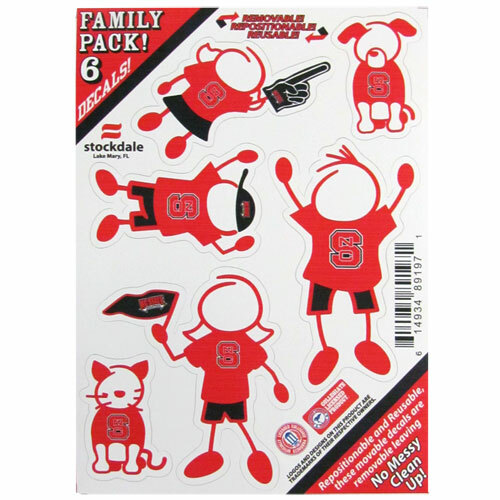 Show off your team pride with our N. Carolina St. Wolfpack family automotive decals. 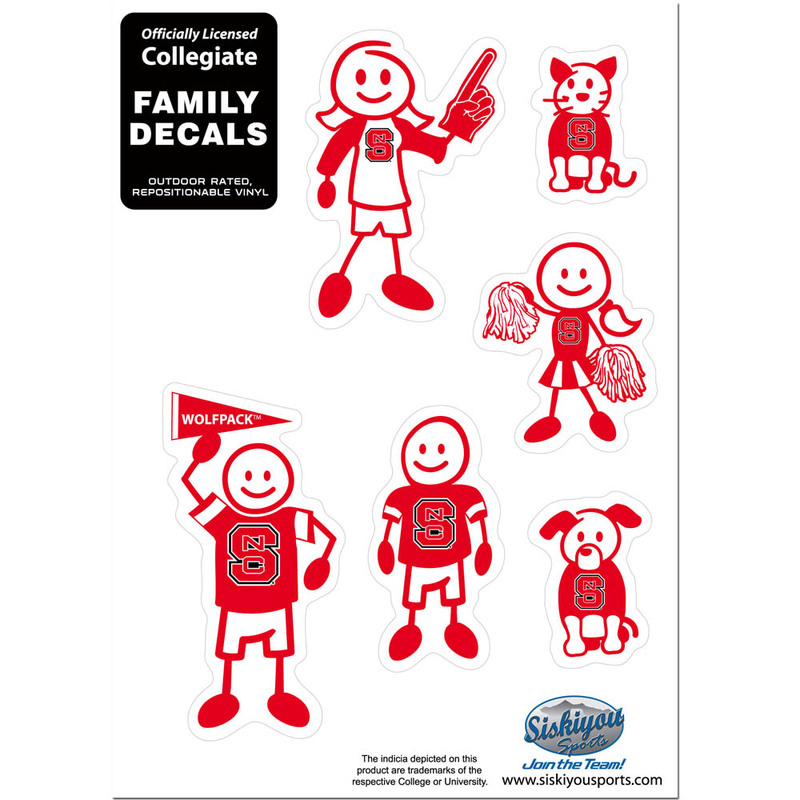 The set includes 6 individual family themed decals that each feature the team logo. 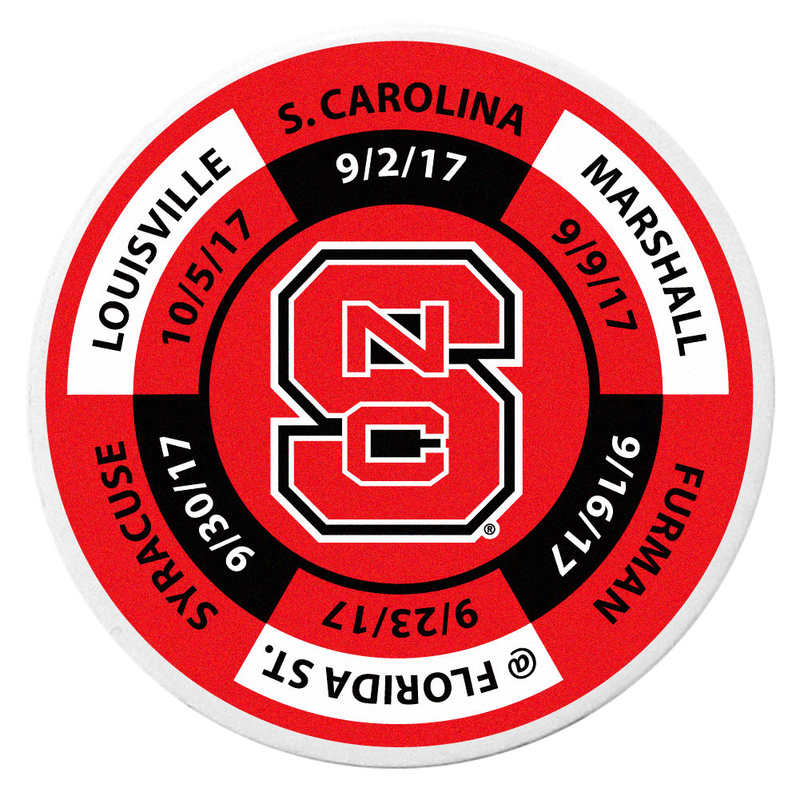 The 5 x 7 inch decal set is made of outdoor rated, repositionable vinyl for durability and easy application. 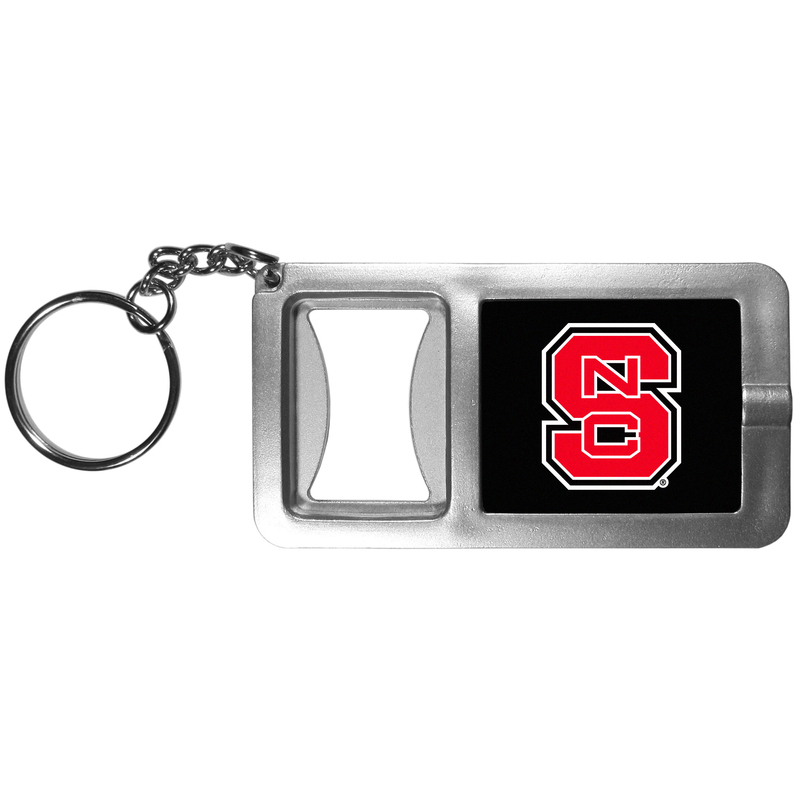 Never be without light with our N. Carolina St. Wolfpack flashlight keychain that features a handy bottle opener feature. 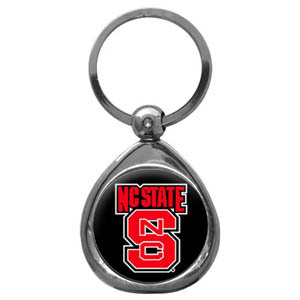 This versatile key chain is perfect for camping and travel and is a great way to show off your team pride! 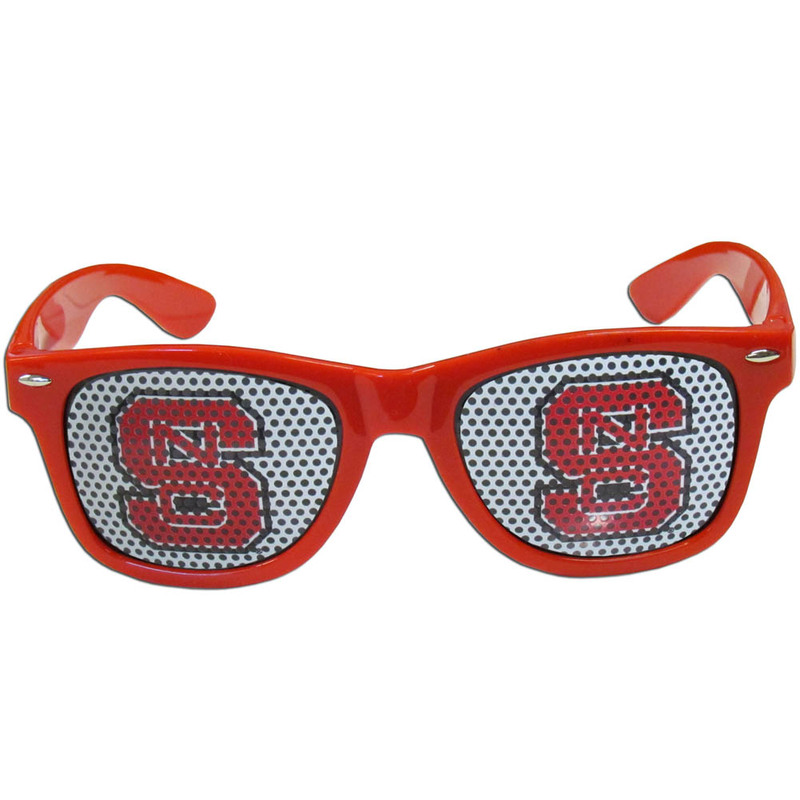 Our officially licensed game day shades are the perfect accessory for the devoted N. Carolina St. Wolfpack fan! 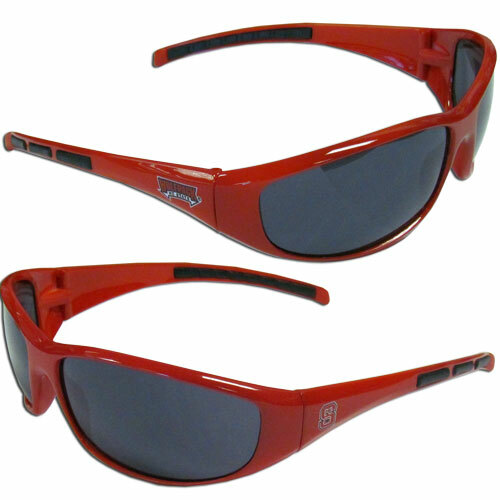 The sunglasses have durable polycarbonate frames with flex hinges for comfort and damage resistance. 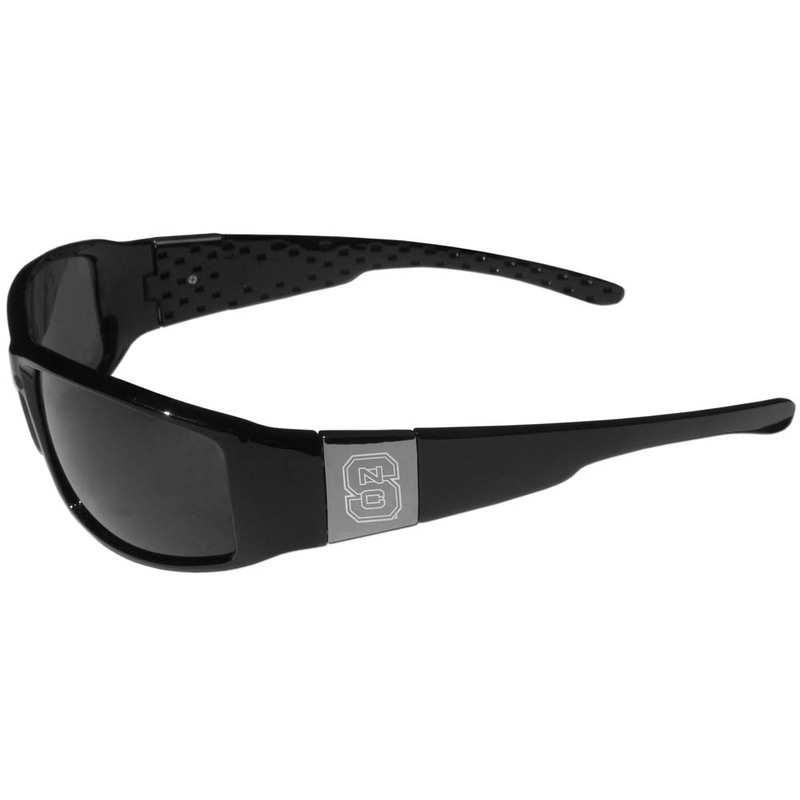 The lenses feature brightly colored team clings that are perforated for visibility. 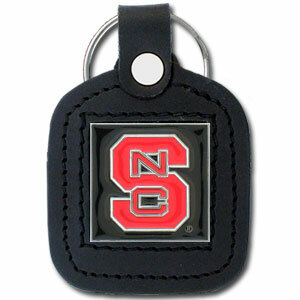 Our flexible N. Carolina St. Wolfpack key chains are a fun way to carry your team with you. 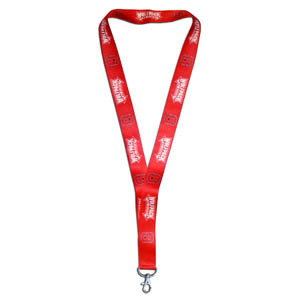 The pliable rubber material is extremely durable and is the layered colors add a great 3D look to the key chain. This is really where quality and a great price meet to create a true fan favorite. Our leather and canvas padfolio perfectly blends form and function. 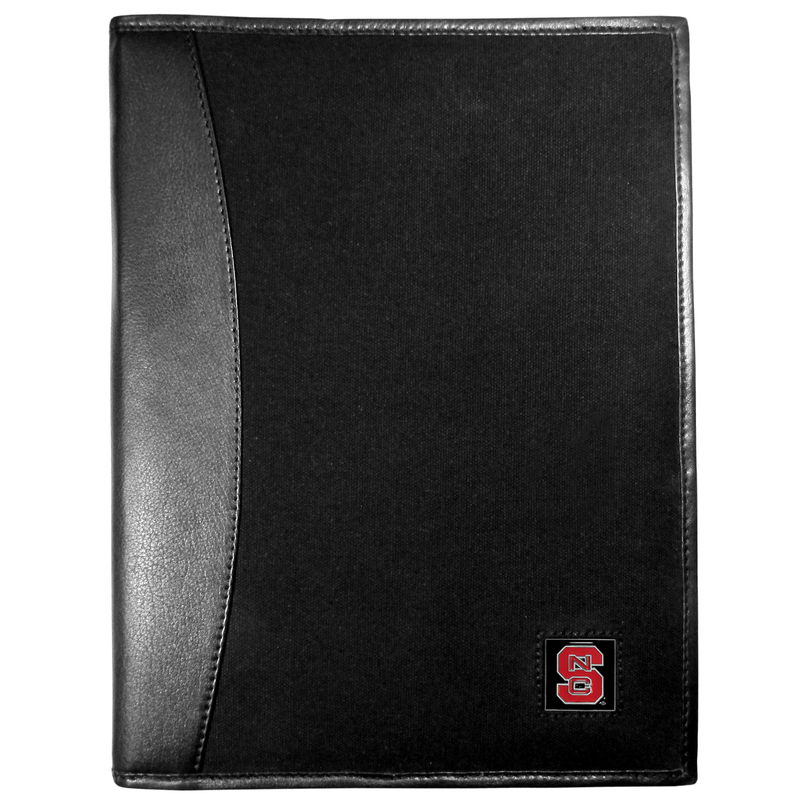 The attractive portfolio is bound in fine grain leather with an attractive canvas finish and the interior is a soft nylon. 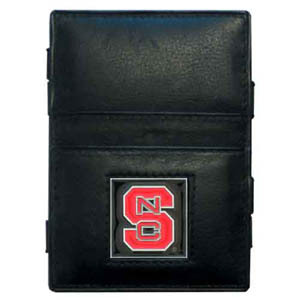 This high quality business accessory also features a fully cast metal N. Carolina St. Wolfpack emblem that is subtly set in the corner of the organizer. 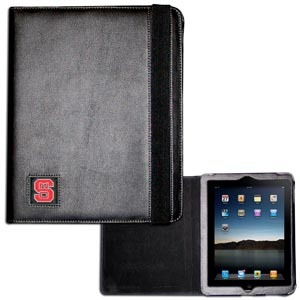 It is packed with features like 6 card slots for badges, business cards, hotel keys or credit cards and ID with a large pocket for loose papers and a writing tablet slot making it a must-have for the professional on the go. 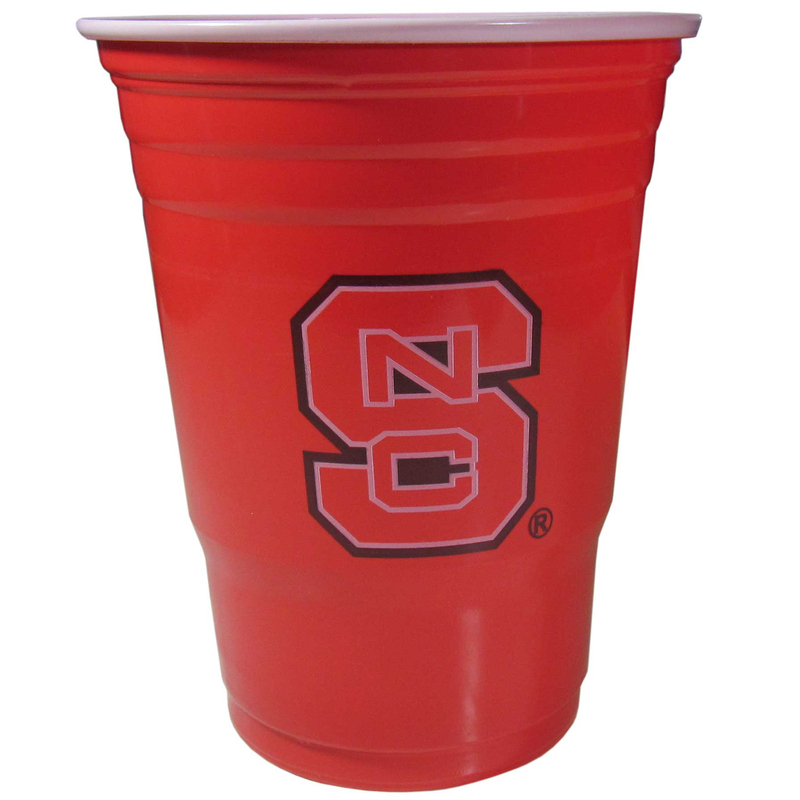 Our 18 ounce game day cups are what every tailgating or backyard events needs! 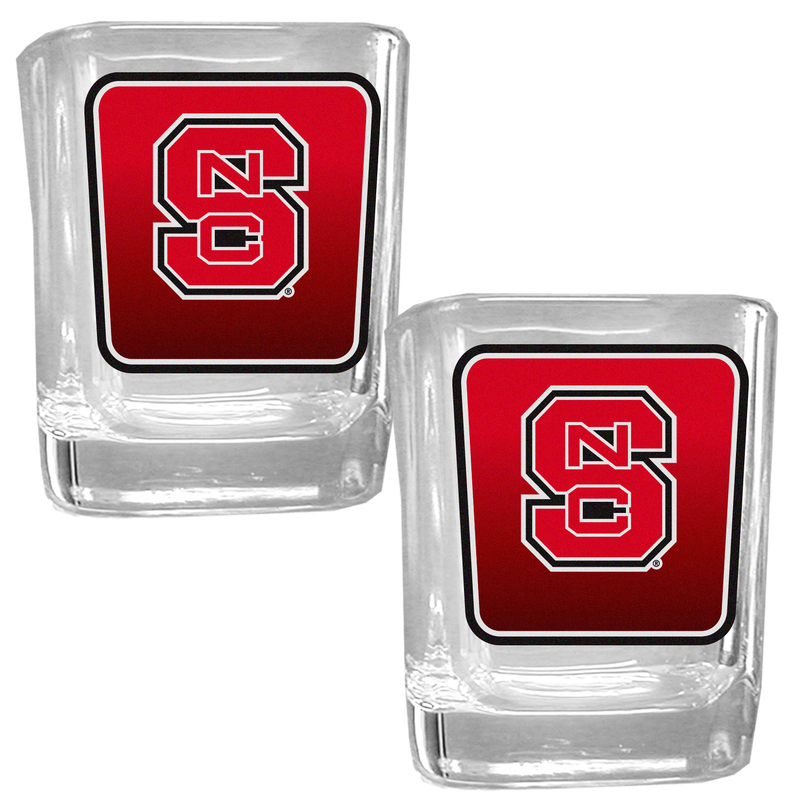 The cups feature a big N. Carolina St. Wolfpack logo so you can show off your team pride. The popular 18 ounce size is perfect for drinks or ping pong balls! Sold in sleeves of 18 cups. 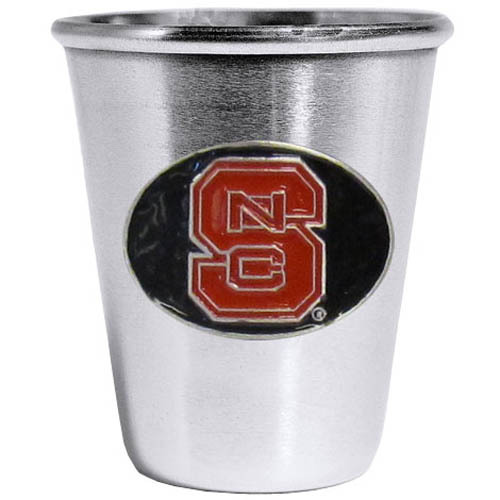 Our 18 ounce game day cups are what every tailgating or backyard events needs! 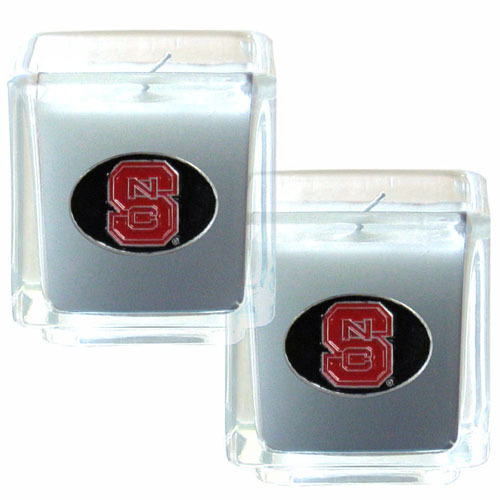 The cups feature a big N. Carolina St. Wolfpack logo so you can show off your team pride. 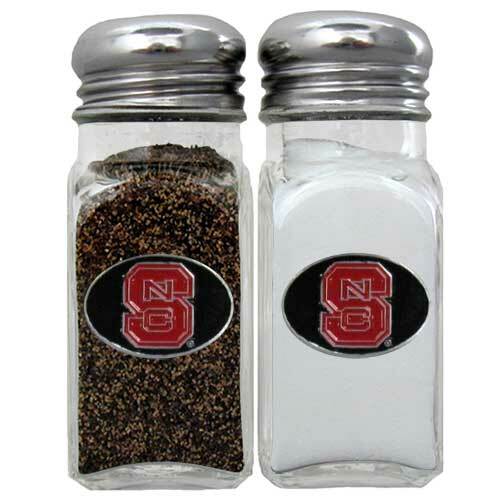 The popular 18 ounce size is perfect for drinks or ping pong balls! 2 sleeves of 18 cups, 36 cups in total. 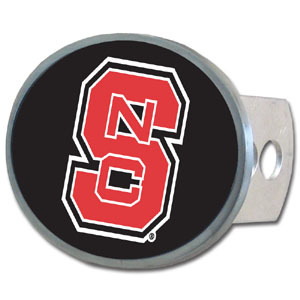 Trick out your golf gear with our N. Carolina St. Wolfpack schedule coin that acts as a golf ball marker when on the links or a cool collector's item. The light weight coin features the teams football schedule in vivid team colors. 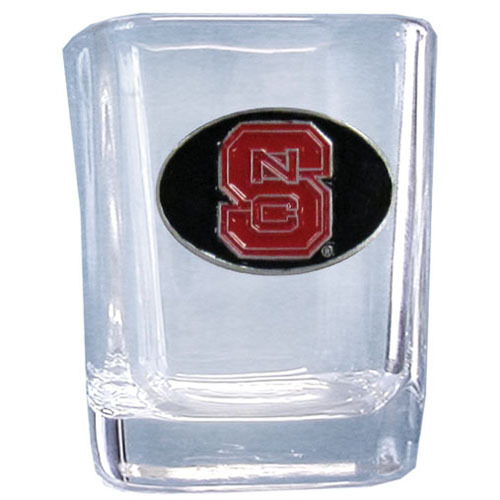 Our glass shot glasses are perfect for collectors or any game day event. 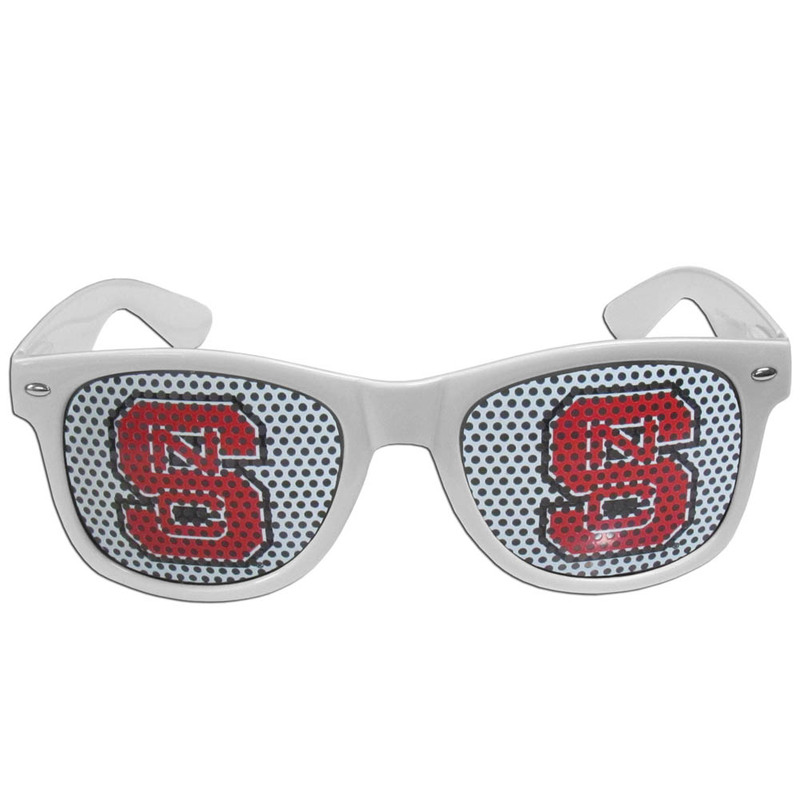 The 2 ounce glasses feature bright, vidid digital N. Carolina St. Wolfpack graphics. 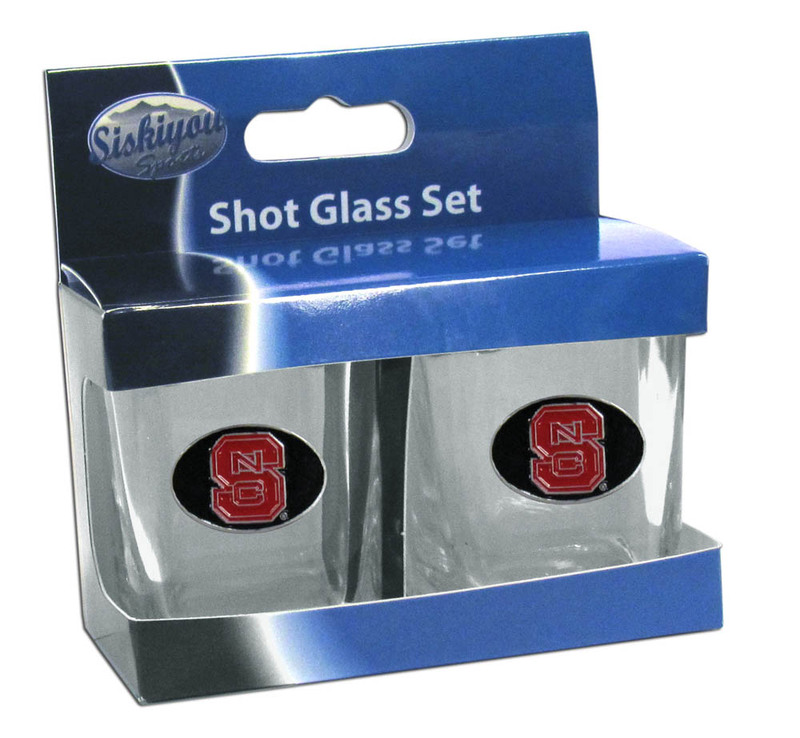 Our glass shot glasses are perfect for collectors or any game day event. 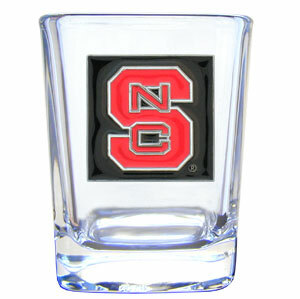 The 2 ounce glasses feature bright, vidid digital N. Carolina St. Wolfpack graphics. 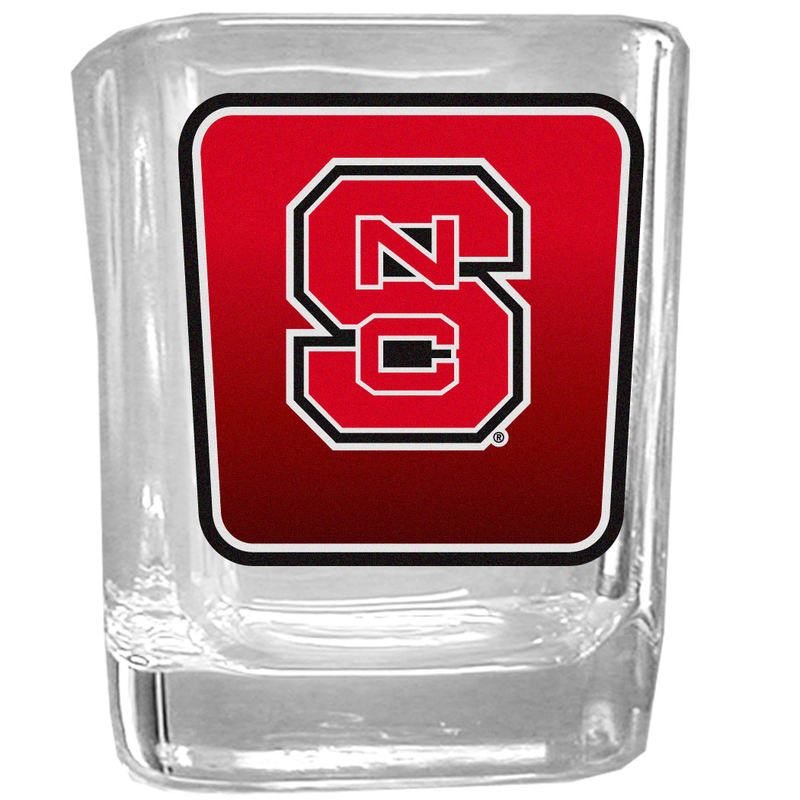 Comes in a set of 2.
Who says glasses have to be glass, check out this ultra cool stainless steel 2 ounce collector's glass. 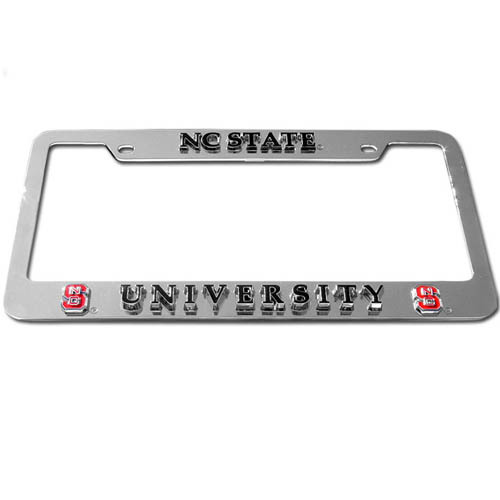 The brushed metal glass has a painted, metal N. Carolina St. Wolfpack emblem. Dog tag necklaces are a fashion statement that is here to stay. The sporty version of the classic tag features a gradient print in team colors featuring a full color team logo over a high polish tag to create a bold and sporty look. The tag comes on a 26 inch ball chain with a ball and joint clasp. 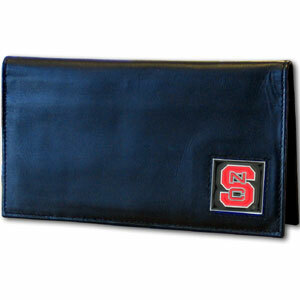 Any N. Carolina St. Wolfpack would be proud to wear this attractive fashion accessory. 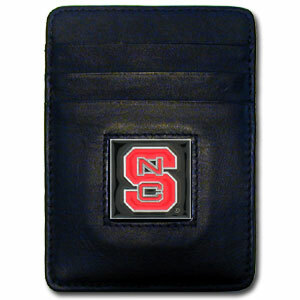 Sports fans do not have to sacrifice style with this classic bi-fold wallet that sports the N. Carolina St. Wolfpack extra large logo. 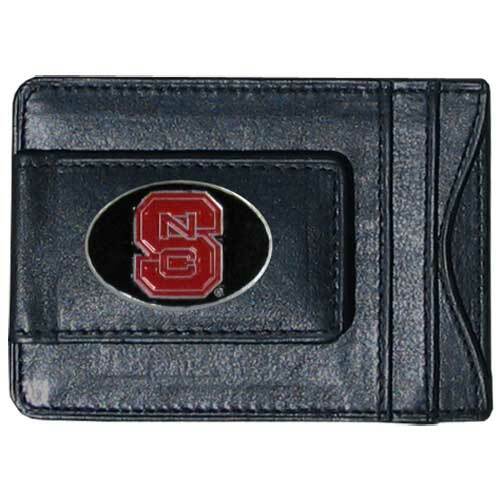 This men's fashion accessory has a leather grain look and expert craftmanship for a quality wallet at a great price. 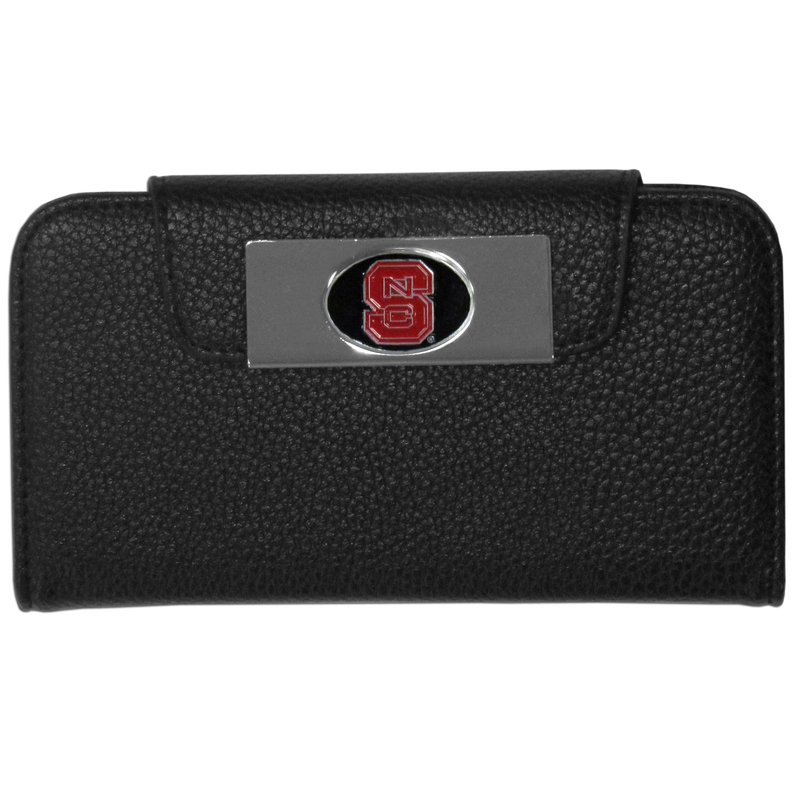 The wallet features inner credit card slots, windowed ID slot and a large billfold pocket. 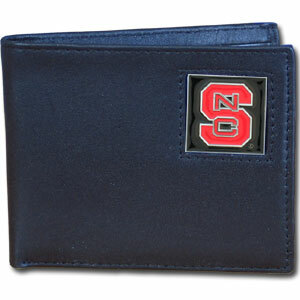 The front of the wallet features a printed team logo. 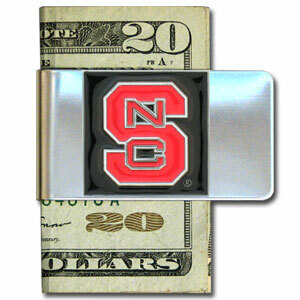 This unique money clip features a classic, brushed-metal finish with a handy bottle opener feature on the back. 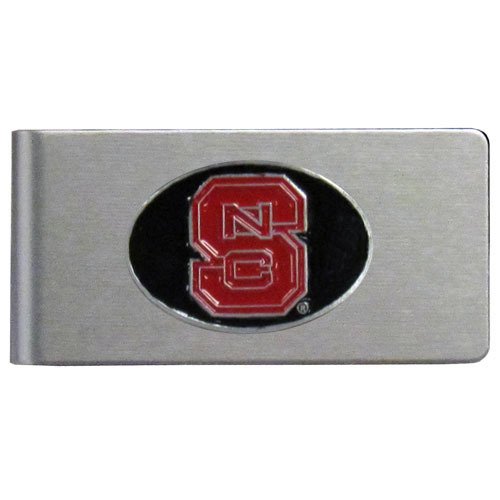 The clip has the N. Carolina St. Wolfpack logo expertly printed on the front of the clip. 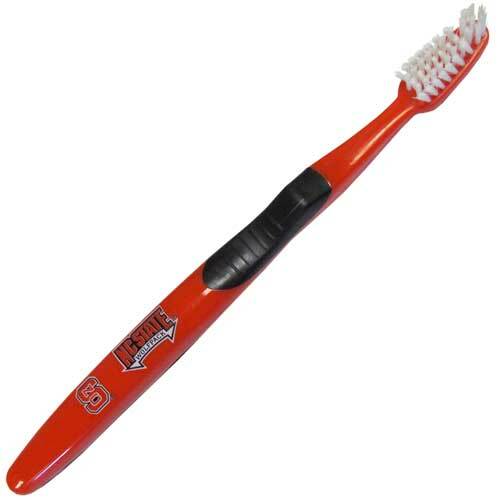 This beautiful N. Carolina St. Wolfpack wine stopper has a classy monochromatic logo on the top disc. 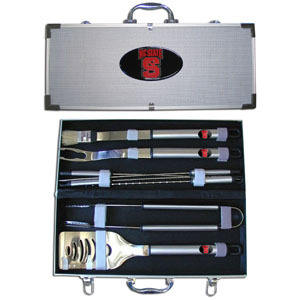 The tapered rubber rings allow you to create a tight seal on multiple sizes of wine bottles so that you are able to preserve the wine for later enjoyment. This a perfect addition to a game day celebration.